Pima Animal Care Center (PACC), located on the west edge of Tucson where the city meets the desert, is a somewhat small and unassuming building. Around it cluster a tents and several portable outdoor buildings used for overflow and veterinary purposes. 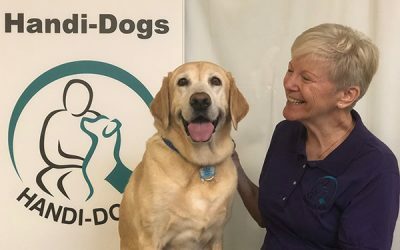 Inside a dedicated group of people work tirelessly for the welfare of Pima County’s less fortunate companion animals. Stray, abandoned, and owner-surrendered pets as well as pets seized by animal welfare enforcement officers can find a safe haven at PACC, where they receive everything from medical care to grooming to training and socialization as they await adoption. 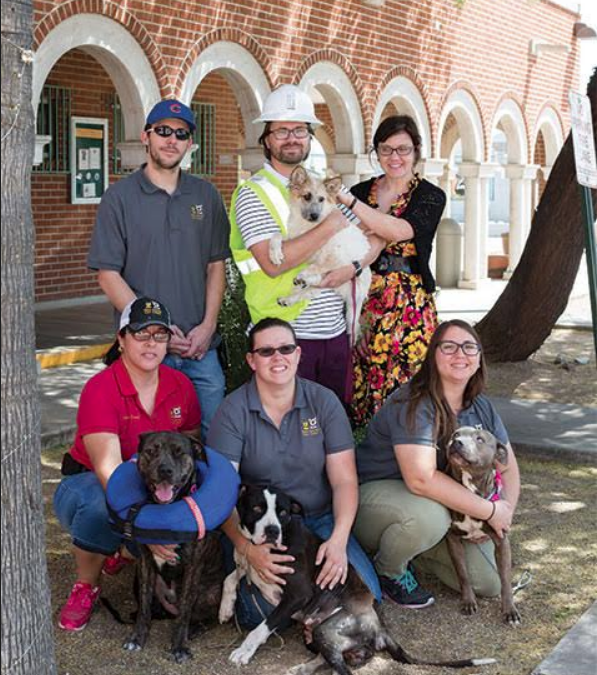 This organization has come a long way from its humble roots, and even more improvements are underway as construction continues on a new facility with an even greater capacity to help Pima county’s pets in need. In 1968 when PACC opened at its current location, it was nowhere near the organization it is today. As Director of Development and Marketing Karen Hollish explained, “At that time they were not focused on animal care. It was just animal control. Animals who came in would only be held for a few days and if they weren’t claimed or adopted before then, they would be euthanized.” As it stands today, PACC has seen some amazing improvements in animal care, saving 90% of all animals that came through its doors in 2016. This is up from 59% in 2012. So how was PACC able to save 90% of over 20,000 pets in 2016? The staff’s dedication and hard work as well as some important new programs are two huge reasons for PACC’s increasing success. 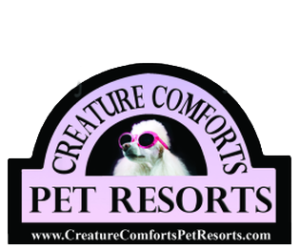 Their medical program has expanded, giving more chances to sick or injured pets who come in. A large climate-controlled tent has been added to house strays during their holding period. A full time professional trainer has even joined the staff. This is incredibly important when it comes to getting pets adopted, as behavior, just as much as physical problems can be a big hurdle on a pet’s road to their forever home. PACC’s low cost spay and neuter program helps overpopulation and keeps animals out of the shelters as does the Trap-NeuterRelease program. This program’s staff captures, vaccinates, and alters feral cats and then returns them to the wild where their populations will be healthier and reproduction will decrease. Offsite adoptions take place at Petsmart, freeing up shelter space, and the Pet Retention Program provides counseling and resources to community members as an alternative to surrendering their pets. 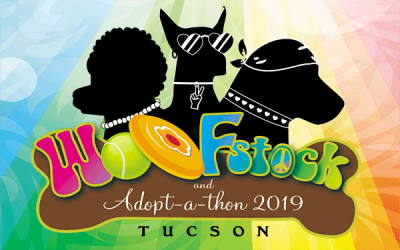 While all of these things are amazingly beneficial to Pima county’s companion animals, PACC couldn’t do nearly as much without the help of the community. PACC has a number of successful volunteer programs, and Tucsonans have stepped up to help in impressive numbers. In 2016, 1,200 volunteers showed up for PACC pets, volunteering an amazing 89,000 hours. People volunteer in the shelter, helping with things such as grooming, veterinary assistance, socialization of the animals, clerical tasks, adoption counseling, Pet Retention Program counseling, and dog walking to name a few. In-home fostering has also helped to save many lives. Pets placed in foster care most often include big dogs that need a calmer, less chaotic environment in order to become adoptable, kittens and puppies who are too young to be adopted or live in the shelter, and companion animals that are sick or injured and just need a safe place and some love to help them get well. In addition to all this hands-on volunteering, over $2 million in financial donations, as well as hundreds of thousands of dollars’ worth of supplies have come in to the shelter in 2016 alone. If all this isn’t proof enough of the compassion Tucsonans have for animals, proposition 415, passed in 2014 should be. Proposition 415 allotted $22 million dollars to PACC for improvements, which are well underway now. Pima County approved a $16 million contract with Sundt Construction for a new building on the current PACC site, slated for completion in late 2017. When the move to the new building is complete, the renovation to the dog room and demolition of the rest of the existing structure will begin, and are scheduled for completion in mid-2018. The new facility will be over twice the size of the existing one and will include a larger, more modern veterinary center, more natural light and air flow, improved housing units including more dog kennels with indoor/outdoor space, and nearly triple the cat housing. The new and larger lobby will have separate areas for dog and cat admissions and adoptions, which should cut back on stress for pets in an already stressful situation. Ultimately, this new building really is all about the animals. 93% of its space is allocated specifically to animal housing or the support of housing, care, or adoptions. 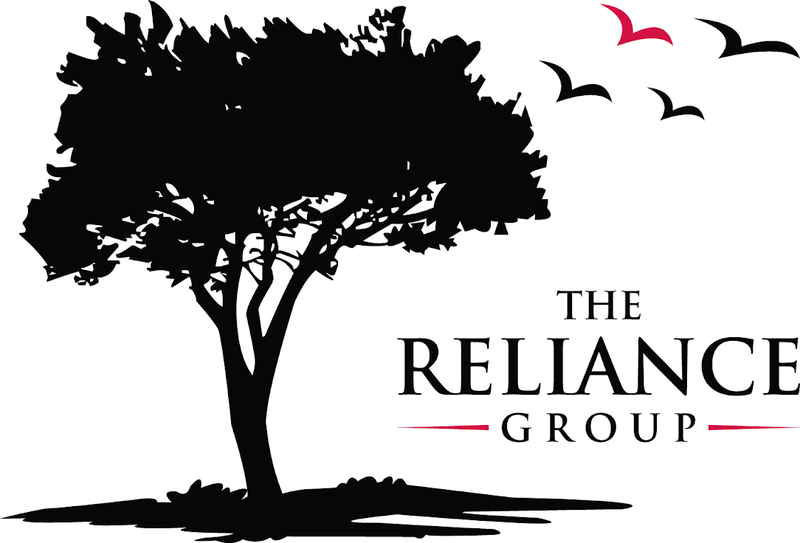 The remaining 7% of the space will be used for administrative purposes. Overall, this new building is a boon for Pima County’s animals in need, whatever species they may be. While predominantly caring for dogs and cats, PACC doesn’t discriminate based on domesticated species. Rodents, birds, and even some potbellied pigs have found refuge at the shelter. When asked about her most interesting experiences while working at PACC, Karen Hollish had a few. At one point, a stunned bobcat who had been hit by a car was brought in in someone’s back seat. They were told PACC does not accept wild animals and were urged to hurry to Tucson Wildlife Center before the cat came to its senses and disaster ensued. Hollish also talked about an incident where around 200 baby turtles were seized. That was a lot of reptiles for a shelter equipped predominantly for mammals. Luckily, a community member stepped up once again, and was able to foster all of them until they were big enough to be adopted. Hollish herself has fostered pets through PACC as well. It is one of the sadder things PACC staff sees when senior pets are brought in. After living a life in a family home, being abandoned at a shelter during their later years is devastating. One such case occurred when Maya, a 14 to15-yearold Shih Tzu mix was brought in for euthanasia by her owners. She was in terrible shape with dirty matted fur and very emaciated. 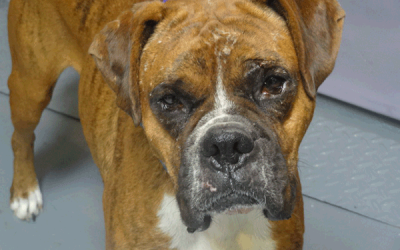 The PACC staff, however, weren’t ready to give up on Maya the way her owners had. Before long they had her bathed and groomed, and Hollish took her home to foster until she was feeling well enough to be adopted. Eventually Maya did find her forever home, all because of the second chance fostering gave to her. There are so many rags to riches stories like Maya’s that come from people’s willingness to open their hearts and homes to these special animals. Fostering really does save lives. Animals give so much to humans and we owe them the proper care and security they deserve from us. Unfortunately, some people don’t take into account that it should be a lifelong commitment when they take on the responsibility of a pet. PACC’s statistics show that at least in our area, the shelter animal issue is improving, but it is still the responsibility of the community to make choices that will continue to ease the suffering and overpopulation of companion animals. Just the seemingly small act of spaying or neutering and choosing to adopt, not shop can make all the difference in the world. Luckily, we have places like PACC that facilitate these things and so much more as we work together to make the world a little easier for our animal companions.